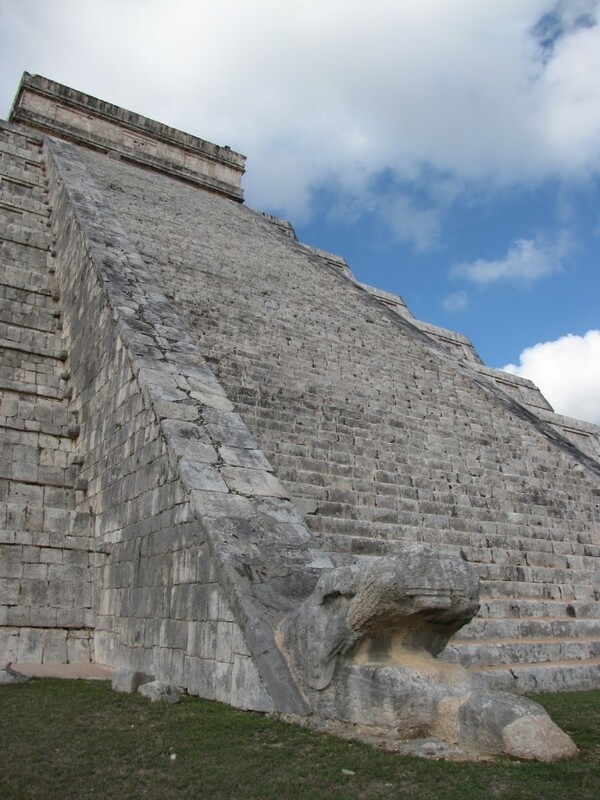 The Post-Classic Maya city of Chichén Itzá [“beside the well of the Itza”] is not only a UNESCO World Heritage site but also, since 2007, one of the “new” seven wonders of the world. It is also a fairly easy day trip from either Cancún or Mérida, and is thus one of the most visited archaeological sites in Mexico, if not the world. 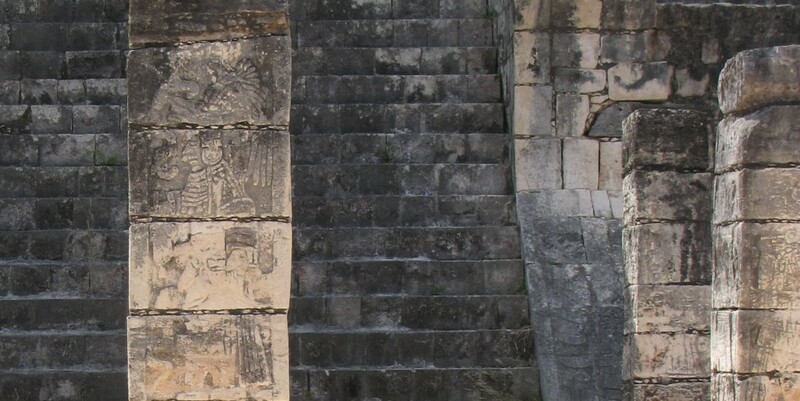 Although popular descriptions often refer to the city as a Maya-Toltec settlement, the history of Chichén Itzá and its associated architecture is still contested. 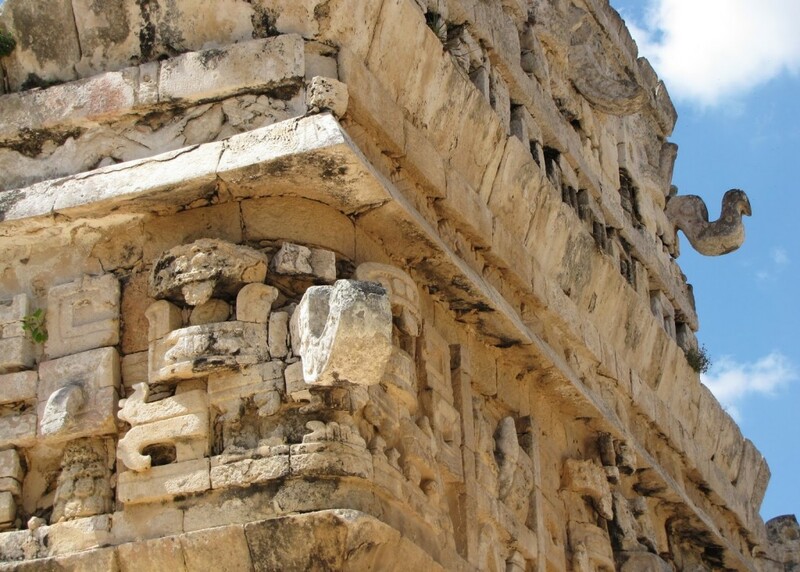 The more traditional view, and the one presented on the associated UNESCO webpage, is that the original Classic period settlement was conquered by the Toltecs, and that most of the major buildings now associated with the city represent a fusion of the two cultures. 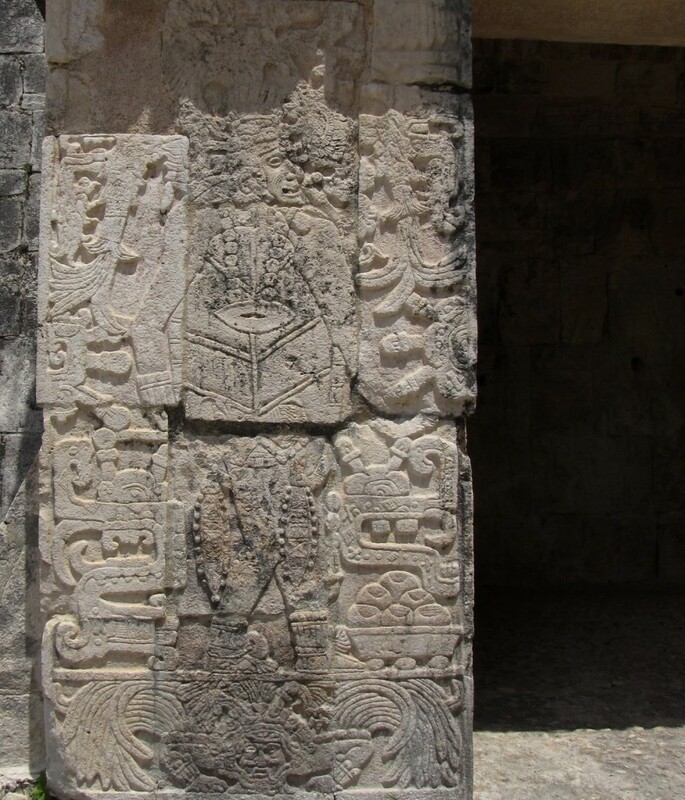 This narrative dovetails nicely with a Maya legend of the arrival of a king from Central Mexico, identified as Kukulkan (Feathered Serpent), and goes some way in explaining the predominance of plumed snakes in Chichén Itzá’s architecture, as well as the inclusion of other features more associated with central Mexican cultures, including images of death and sacrifice. 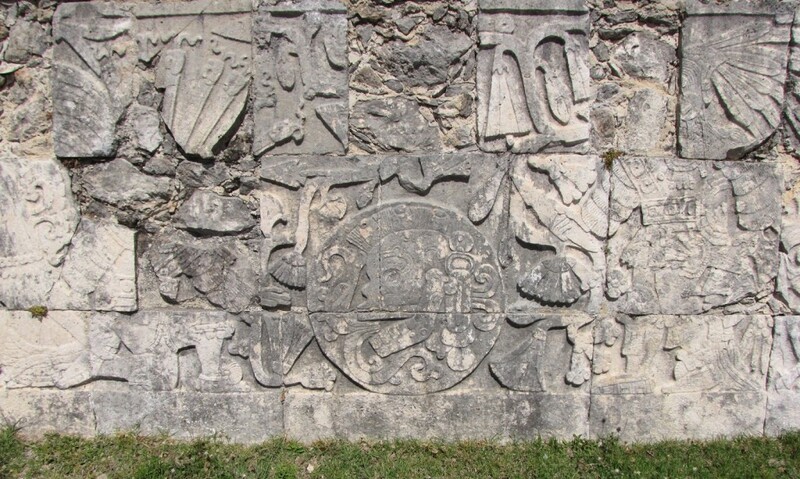 Detail of the relief along Chichén Itzá’s Great Ball Court. The kneeling figure on the left depicts the game’s decapitated loser; the snakes springing from his neck represent blood spurting from the wound. Photo by Renée DeVoe Mertz, May 20, 2015. There are, however, problems with this theory. 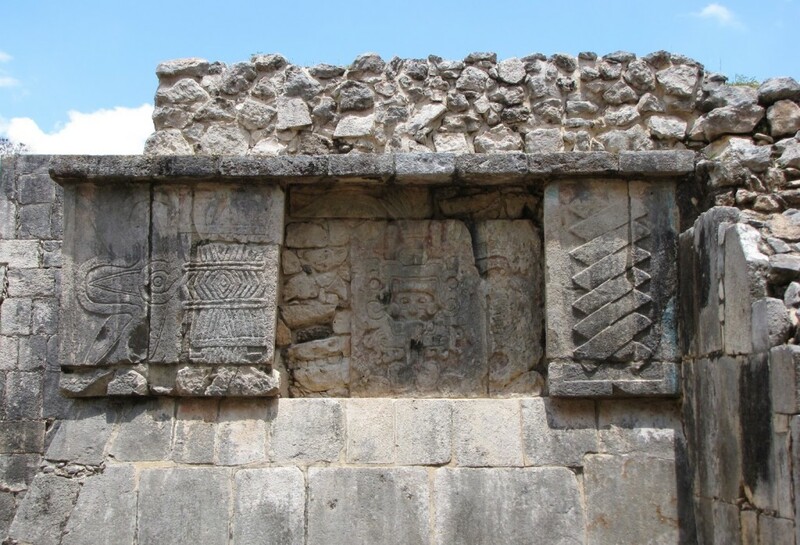 The most significant issue is a matter of timing—namely, archaeologists now believe that the buildings once thought to represent Toltec features actually pre-date the civilization which supposedly influenced them [Drew 1999, 371]. If true, this might point to a reversal of influence, in which the Toltecs incorporated imagery from the Maya, not the other way around. 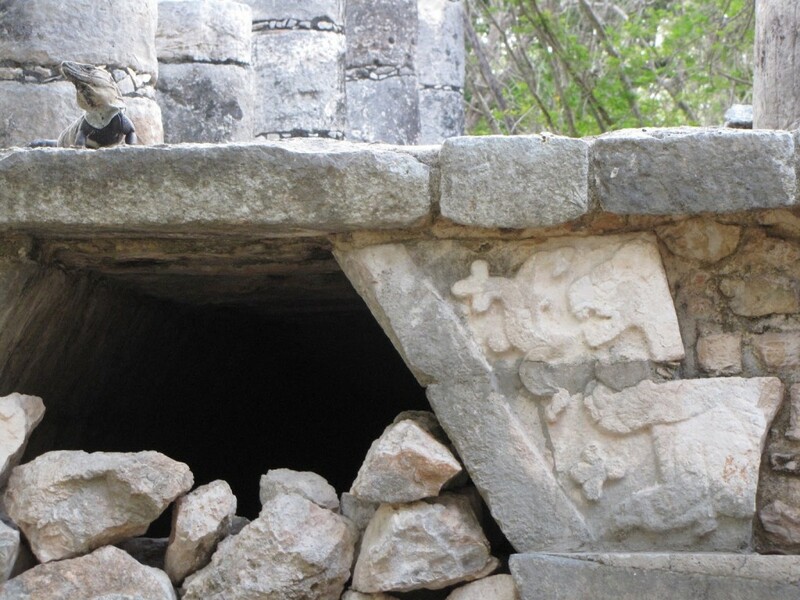 Indeed, many of the supposedly “Toltec” aspects of Chichén Itzá are in fact present in other, earlier Maya settlements. 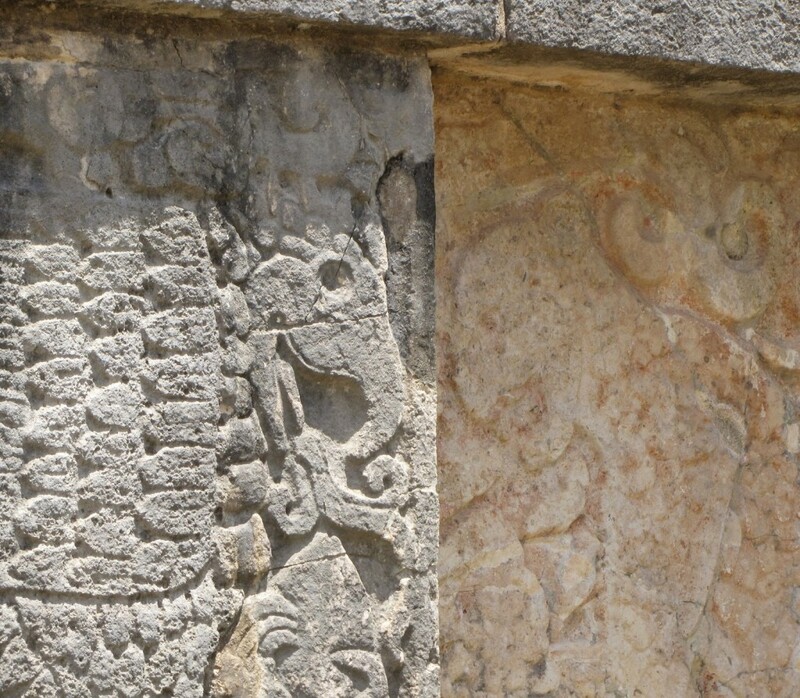 The feathered serpent, for instance, was already a common motif in Maya culture centuries before the establishment of the great centers of the Yucatán, and can be traced to even earlier origins within the Olmec civilization. 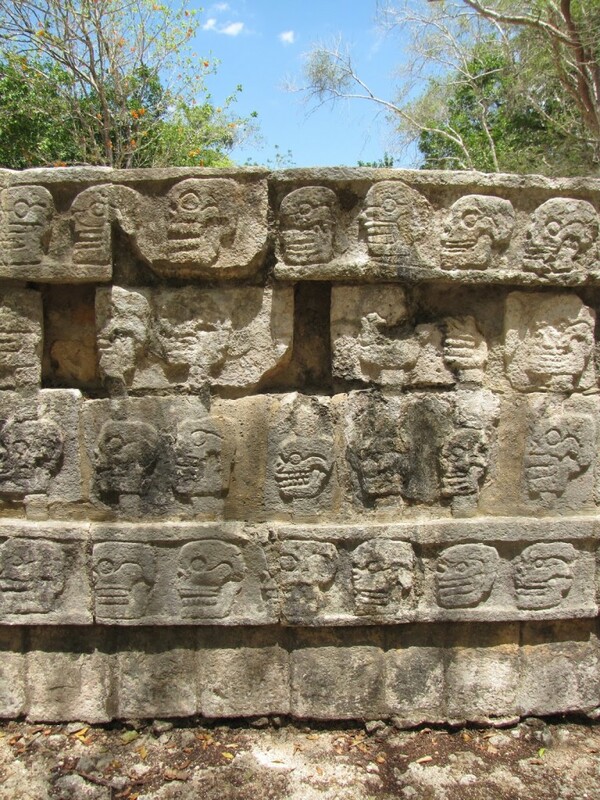 Likewise, clear evidence of the importance of war and the practice of human sacrifice at Classic period settlements, such as the murals of Bonampak, have long since forced archaeologists to set aside more romantic notions of the Maya as an idilic civilization of peaceful scholars corrupted by blood-thirsty outside conquerers. 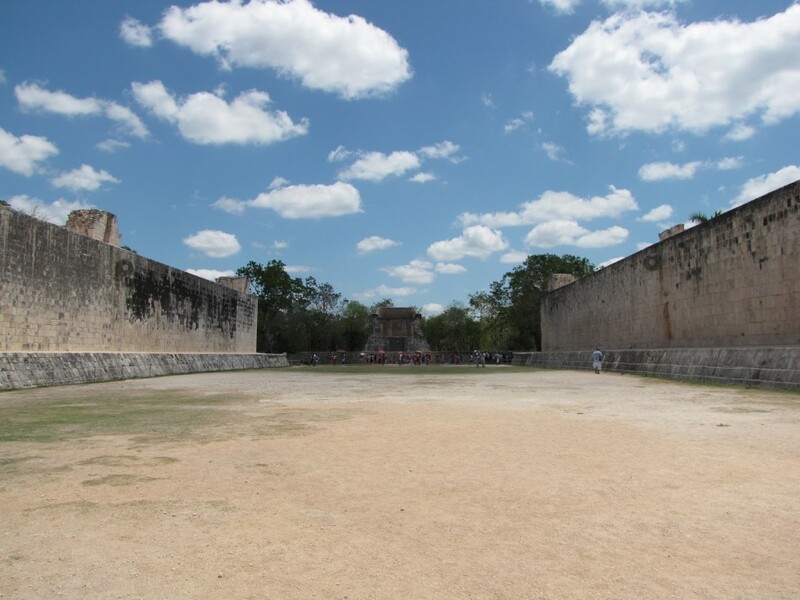 360-panorama of the Temple of the Warriors and El Castillo, Chichén Itzá, by Joshua Albers, May 20, 2015. Regardless of who was responsible, the great architecture of Chichén Itzá is both physically imposing and iconographically impressive. 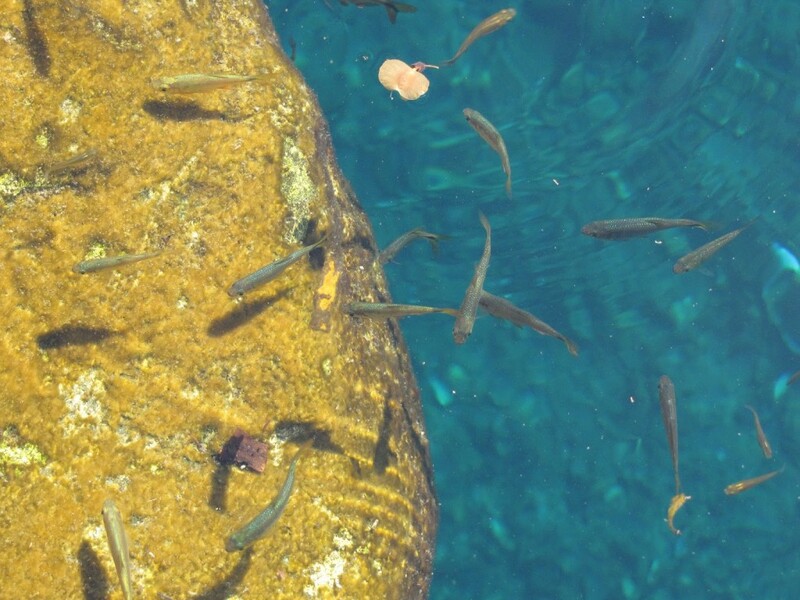 Since the site’s inclusion as one of the wonders of the world, however, access has become increasingly restricted. 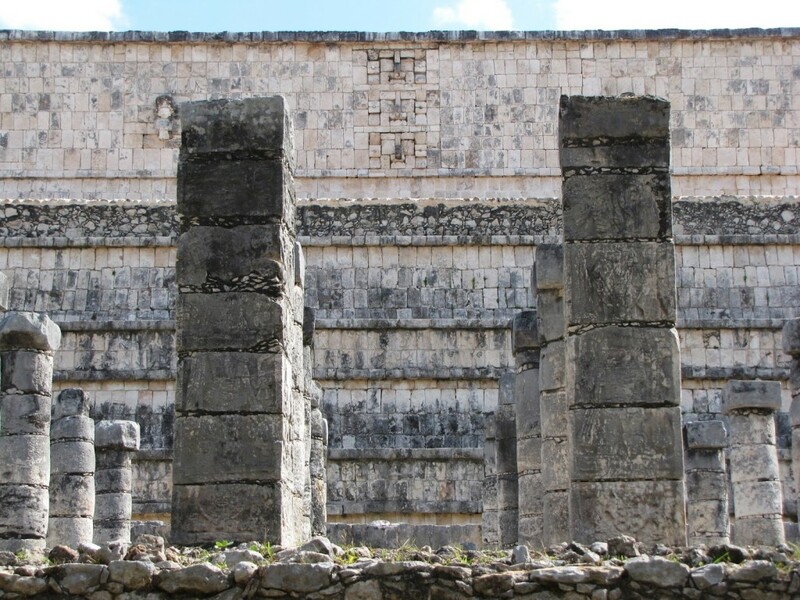 Visitors can no longer climb the stairs of El Castillo or enter its interior chambers, nor can they walk among the many columns of the Temple of the Warriors. Back in 1999, I had the opportunity to climb the pyramid and chose not to. 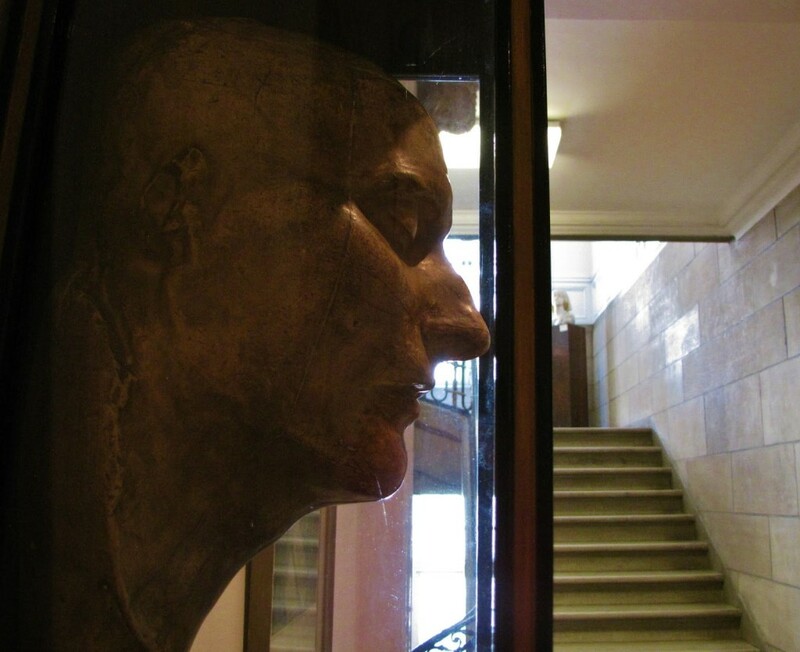 This time, I promised myself I would brave the heat and precarious steps in order to take a peek at the inner chamber. To this end, we arrived early and made a beeline from the entrance directly to El Castillo. After months of anticipation, it took me a while and multiple laps around the foot of the pyramid to accept the eventual realization that I had forever missed my chance to see the temple interior. Putting aside my personal disappointment, however, these new measures are clearly important precautions for preserving the heavily visited ruins, and ones the government has been wise to undertake. That being said, missing this opportunity definitely increased the pressure to do everything we could at the subsequent, less regulated, sites we visited. Artist Efrain Cetz beside his masks and other carvings, Chichén Itzá. Photo by Renée DeVoe Mertz, May 20, 2015. 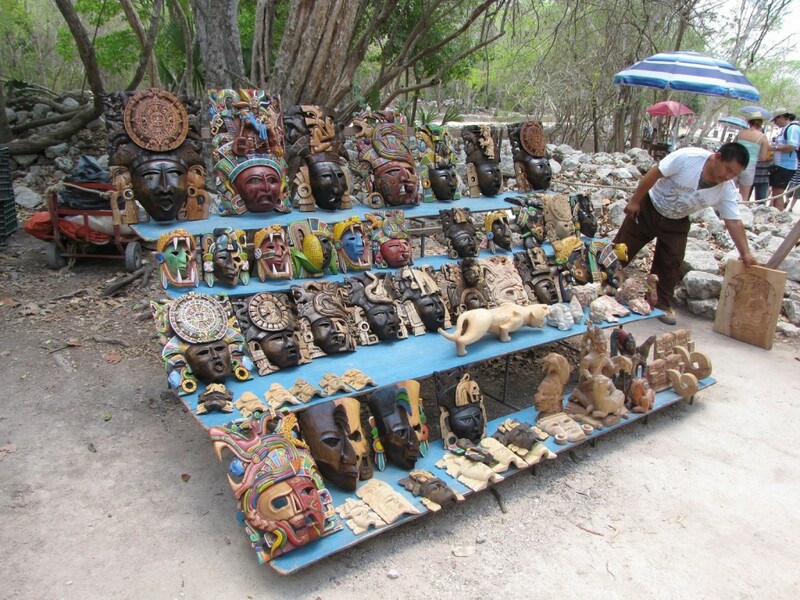 Another consequence of being a popular tourist destination is the inclusion of many artisans and souvenir sellers scattered amongst the shaded areas of the grounds. This feature is somewhat unique to Chichén Itzá, as other sites either require such stalls be outside of the grounds—as at Tulum—or simply don’t draw enough people to have more than one or two merchants present, if there are any at all. The wares on offer vary greatly, from mass-produced or poorly made souvenirs to unique objects crafted by skilled artists. If you are interested in making a purchase, it’s probably best not to get the first thing that catches your eye, as many vendors will have similar—and possibly better-constructed—items for sale. But if, after looking around, you do find something you like, buy it. We ended up purchasing a mask by Efrain Cetz there, and although it took at least a half hour and the last of our energy to find him again, I’m glad we did. 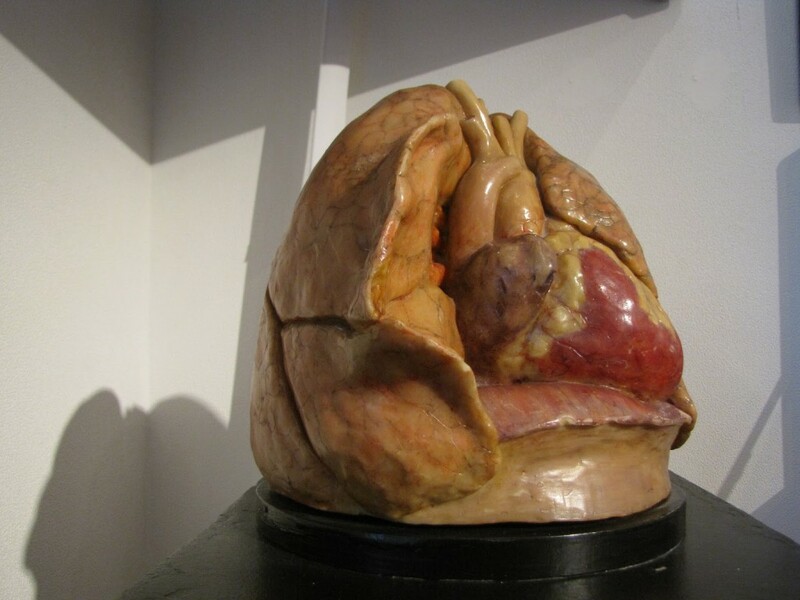 For while we later saw other, vaguely similar, masks elsewhere, they never appealed as much as the one we already had. In addition, buying directly from the artist allowed us to speak with him about his ideas and practice, which in turn gave us a better appreciation of not only what we were taking home, but of how traditional Maya stories and concepts are being reinterpreted by contemporary people. 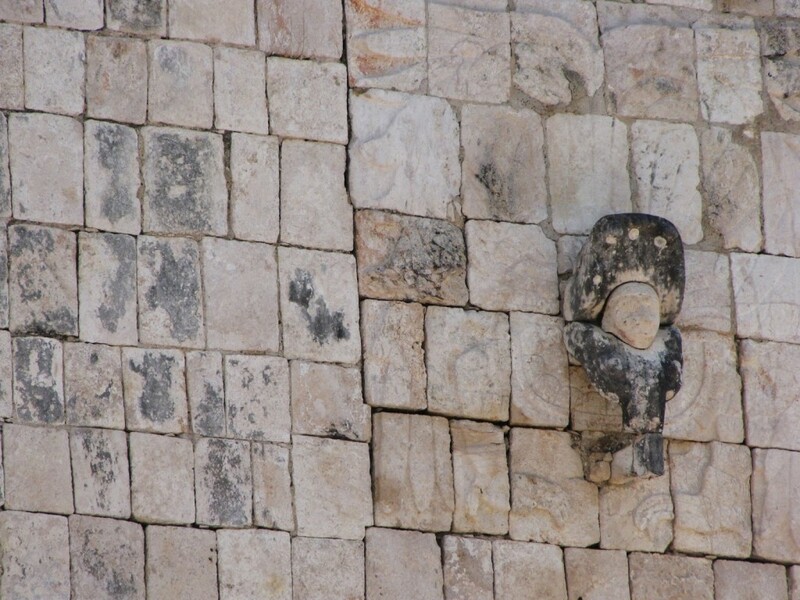 Masks of the rain god, Chaac [Chac, Chaahk], adorning the Puuc-style “Church,” Chichén Itzá. Photo by Renée DeVoe Mertz, May 20, 2015. Finally, as a heavily visited, imminently photogenic location, Chichén Itzá is also one of the most photographed places on the planet. 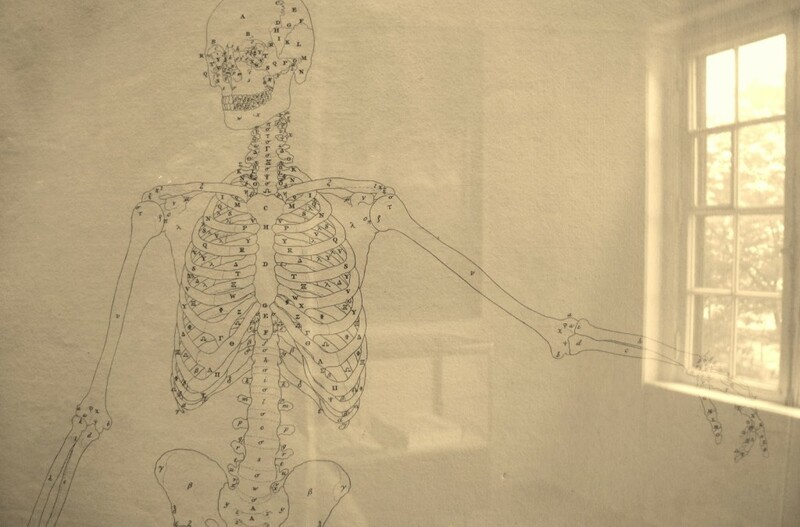 There is almost no angle of the extensive grounds that has not already been captured multiple times, and no shortage of images available in publications and on the web. Not that the futility of trying to take an original picture stopped us from spending hours snapping hundreds of our own photos. 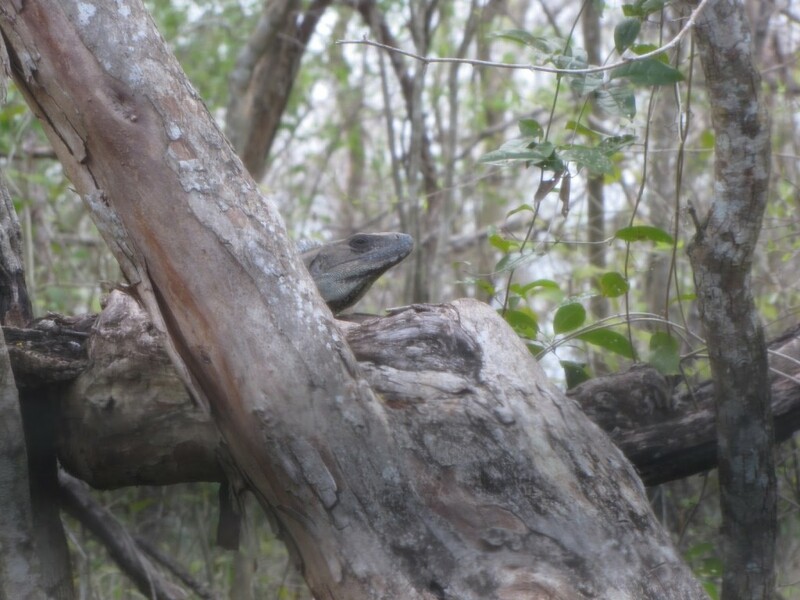 But because images of the major buildings are so common, we mostly focused on framing our own impressions, using our telephoto lenses to better see the details we couldn’t approach, and documenting the many iguanas chilling at the site like giant, scaly squirrels. For more on the site’s layout, history, and visiting information, see the INAH website, which has text in both English and Spanish. Not surprisingly, the first day of our trip was also the most hectic and least enjoyable period of our vacation. Our travels began in the (far too) early morning as we drove an hour and half to the nearest major airport, arriving two hours early for a 7am flight to Cancún. After a short, bleary-eyed stop-over in Dallas, we finally arrived in Mexico around 1:30pm. 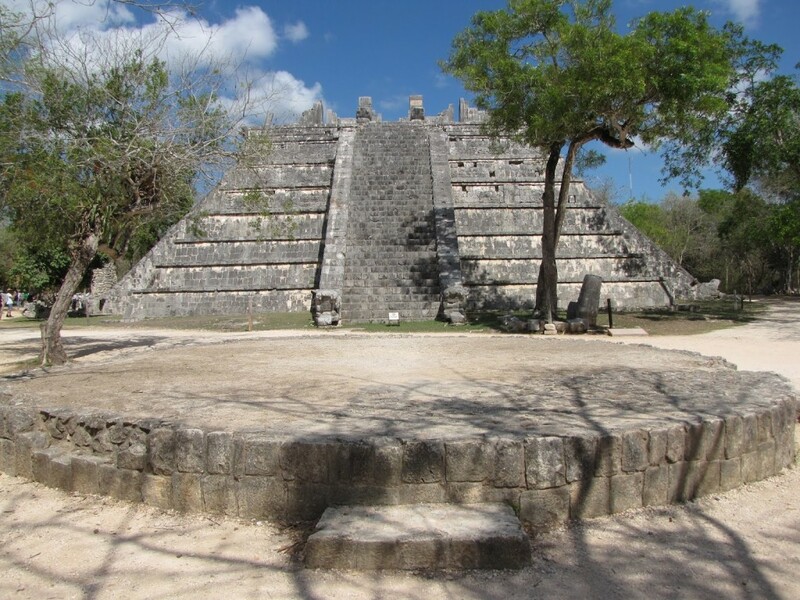 The plan was to pick up our rental car and immediately head towards the Dzitnup cenotes of Xkekén and Samula, located just southwest of Valladolid, before ending up at our Pisté hotel. On paper, it seemed like a fairly modest plan. Nevertheless, it turned out to be a little over-ambitious. Car rental agencies operating out of the Cancún airport are notoriously bad for springing large hidden fees, required insurance, or other charges on unsuspecting tourists. As a result, we decided to bypass the bigger-name agencies for the local Easy Way, which made all of their costs clear at the time of booking. Make no mistake, though: renting a car in Mexico is expensive, no matter who you rent from. Know that and come to terms with it before you go. Even with special discounts, having a manual drive car for two weeks was over $500, not including the price of fuel (and tipping the gas attendants). An automatic would have been even more. A big chunk of this cost is insurance. Mexican law requires drivers purchase local insurance, and this on its own will almost double the cost of the basic rental. Easy Way offered a special on getting the required insurance with additional coverages, and for our own peace of mind we went with this option. You *could* rent a car for slightly less, but what it will save you in money it will cost you in stress and aggravation and probably put a damper on your entire trip. Especially if something else goes wrong along the way. Which it probably will. Easy Way’s office is actually outside of the airport, which means we didn’t have to pay the hefty “airport fee” that companies like Budget would require. This was nice, but it also added a different stress to the first day when, sleep deprived and disoriented, we had to figure out where to find the shuttle, wait to see if they needed to pick up anyone else, and then be driven to the office. [Likewise, when dropping off the car at the end of the trip, we had to go to the slightly-hard-to-find office and then be shuttled by one of the Easy Way staff back to the airport.] Our driver was very friendly and helpful, however, and these extra steps probably only added 45 minutes or so to the first day. Once we finally arrived, the staff went over the paperwork and contact information with us, then had us inspect the car for any exterior damage. Having heard this was another area where people incurred large, unexpected charges at the end of the trip, I was extremely careful in my evaluation and noted any tiny ding, chip, or scratch I could find—much to the amusement of the guy working with us. And then, finally, we were off. Unfortunately, we were off in the wrong direction. Even more unfortunately, we had already stumbled into the busy, populous area of Cancún proper by the time we realized we were going in the wrong direction. Finding our way out was a bit of a trial-by-fire for Josh, who suddenly found himself driving a stick shift amongst multiple lanes of heavily trafficked roundabouts, but he nonetheless got us turned around and back on track without any loss of property or limb. We opted to follow the advice of the Easy Way shuttle driver and take the tollway. If we hadn’t, I doubt we would have made it to our hotel before dark. Because the tollway operates as a kind of express route, with local traffic mostly diverting to other roads, we saw very few other cars on the beautifully paved drive. After the hazards of Cancún, this felt amazing, and the long, straight throughway offered incredible views of the sky. 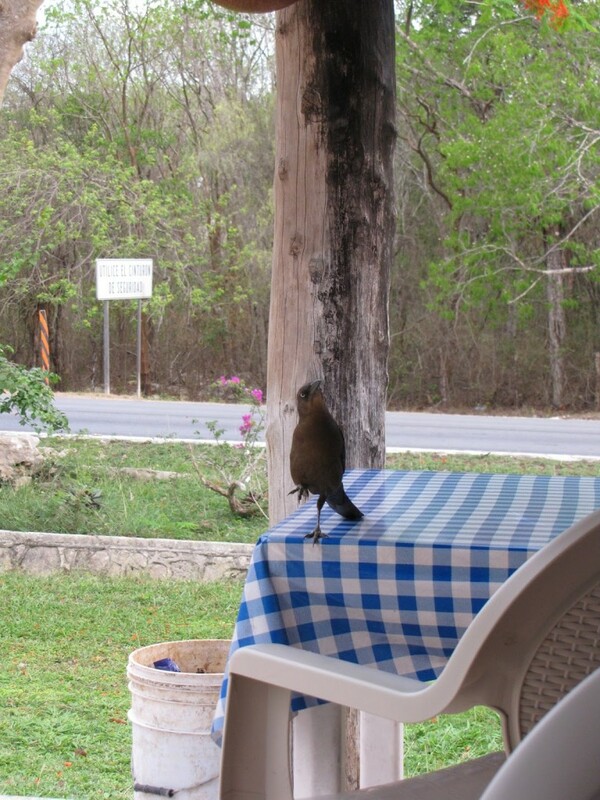 Unfortunately, it was already late in the afternoon by the time we left the city, which meant we would not have enough time to make it to the cenotes. We comforted ourselves with the idea that we might be able to make it back at the end of the trip (spoiler alert: we didn’t), and instead headed directly to our hotel. 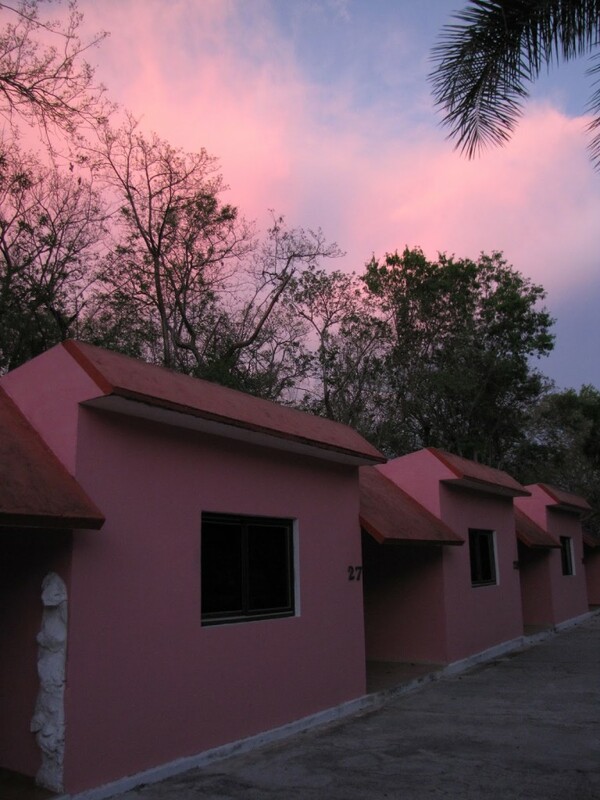 1) Its close proximity to Chichén Itzá, Ik Kil cenote, and Balamkanche caves. 4) Its positive on-line reviews. Overall, it was indeed perfectly fine, if in slightly rougher shape than expected. 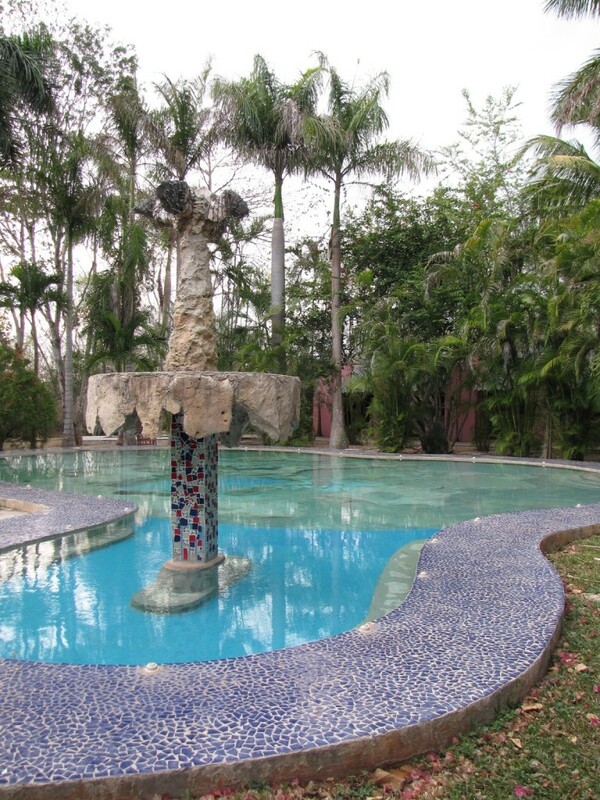 Much of the concrete construction, including the more traditional swimming pool near the restaurant, was in need of repair and upkeep, although we were later to learn that this is not unusual for the great quantities of concrete-based domestic architecture in the area. 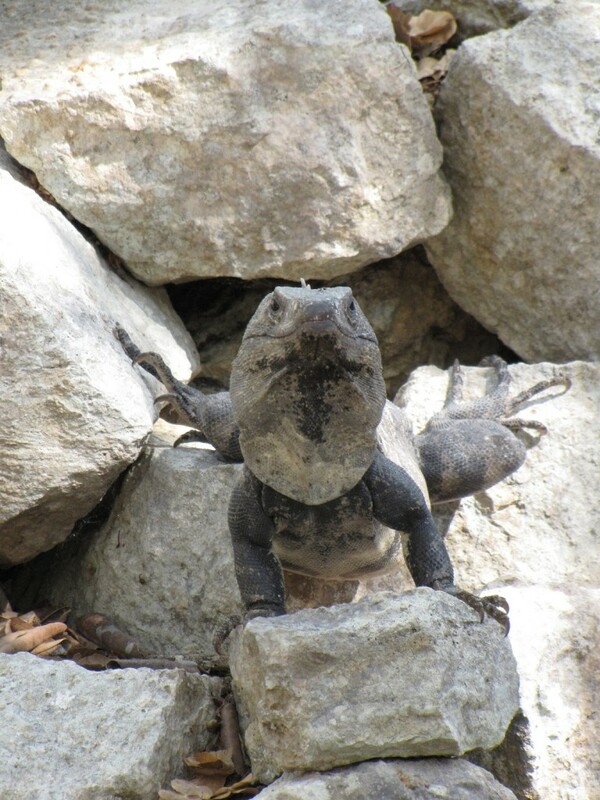 That being said, the same conditions that were obviously so hard on the buildings were quite kind to the native flora and fauna, encouraging iguanas to scamper near (but outside of) our room and birds to join us for dinner. 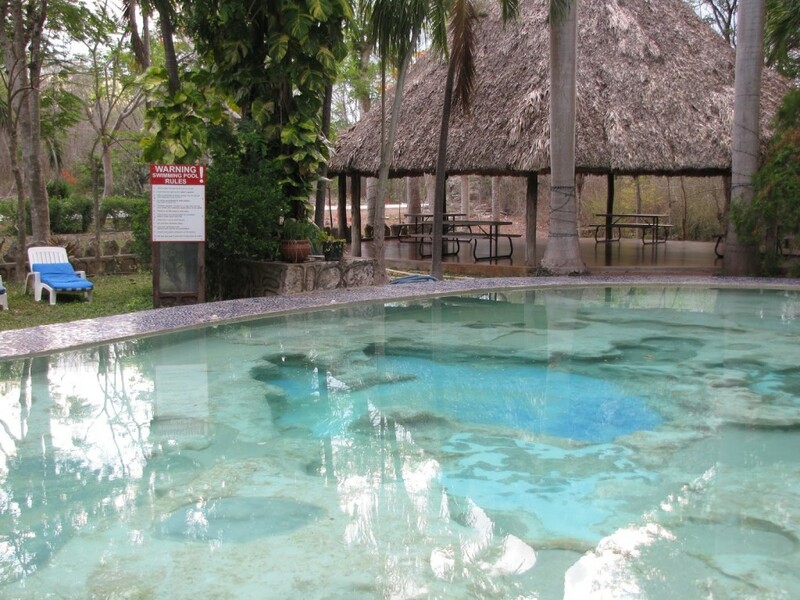 The “natural” pool (made from adding concrete reinforcement and embellishment to a pre-existing, shallow cenote) was open, and we spent our first evening in cooling water surrounded by palm trees, watching silhouettes of swallows and bats picking insects from the sky. Or we did until I felt the troubling digestive rumblings brought on by our evening meal. After that, it was a quick sprint back to our room—where we stayed for the rest of the night. 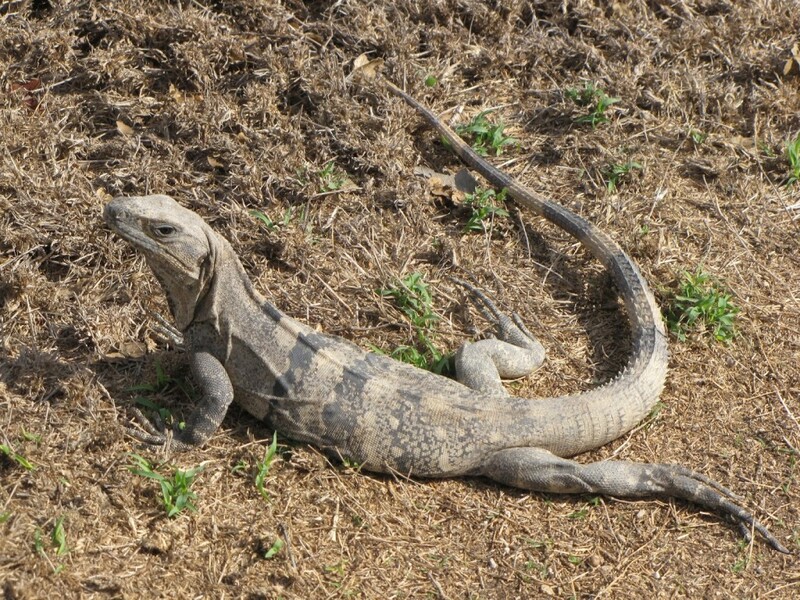 Our first iguana, as seen from the hotel room’s back window. 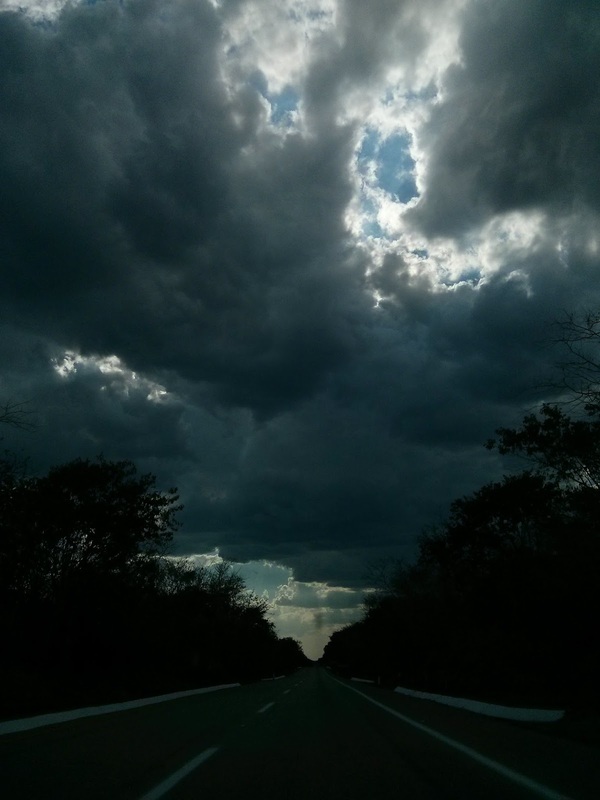 Last spring, Josh and I embarked on a two week road trip around Mexico’s Yucatan Peninsula. We had hoped our travels would fall in the window between high tourist season and the hot, rainy days of summer. In reality, the weather turned out to be unseasonably warm, with temperatures in the 90s (or higher) nearly every day. Despite the fact that neither of us are built to withstand that kind of heat—often to our great, sweaty, fainting embarrassment—we both agreed that this was one of the best trips we have ever taken. 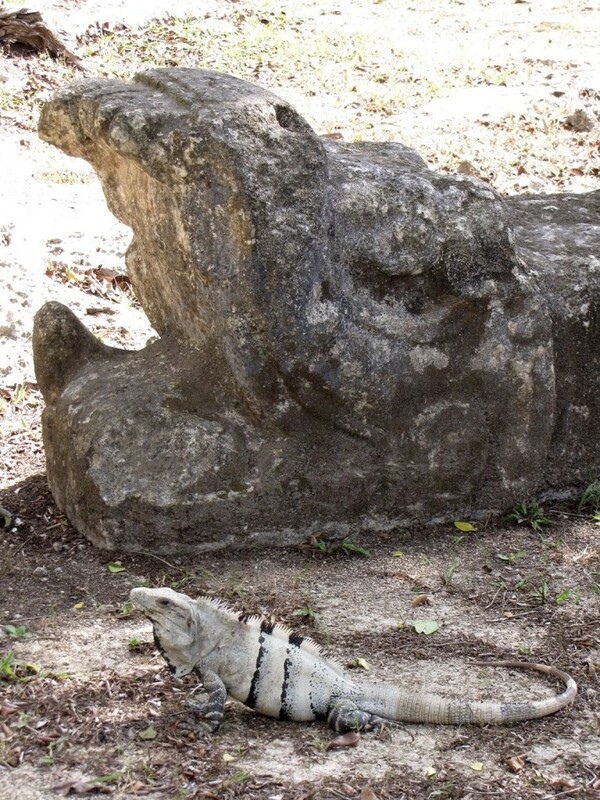 The people were friendly; the ruins, fascinating; the cenotes, stunning; the iguanas, hilarious. And we were able to avoid many potential frustrations and pitfalls by following a few basic rules of thumb. Therefore, I thought I’d start this series of posts with tips for anyone interested in making a similar pilgrimage. Anticipation is half the fun of travel, and research allows you to dive into your trip long before you leave home. Just as important, knowing where you want to go and how to get there will save you valuable time and stress during your all-too-brief holiday. Not all of the most interesting sites are covered in your guidebook or are easy to find, and not all of the differences in hotels are evident from their exteriors. I put in months researching what we would see, where we should stay, who we should rent our car from, and what routes we should take. The downside of all this planning is that we couldn’t be terribly flexible. These days, most hotels will not let you cancel without penalty unless you do so weeks or even months in advance. The upside is that we could be confident we were staying in safe, comfortable locations for a good price. And because I did a lot of online reading about the various sites we could visit, we only had one instance in which something new came up that we had to miss out on. Also, reading ahead of time about the history of the places we would see made us less inclined to hire guides, saving us money and freeing us to focus on wandering and looking. Even the second edition, published in 2001, is out of date, which means many of the things he recommends to do at the most trafficked locations are no longer accessible. Despite that inevitable disappointment, the book is still worth reading for the detailed insights it provides on many sites. Focuses on Classic period Maya civilization, which was based in or around Guatemala and Chiapas. Includes some information about Calakmul (which is still scarce elsewhere) and the post-Classic sites of the Yucatan. Mostly useful for historical background and context. Image searches are especially helpful in discovering places that do not yet appear in guidebooks or may not have otherwise been on your radar. Of course, if you’re here, you probably already know this. A great, centralized source for reviews and images of sites, hotels, restaurants, and rental agencies. Most entries for archaeological sites give geographical coordinates that can be copied and pasted into Google Maps. This is extremely helpful for planning your route to more remote locations. I generally found the best deals on hotels through these two, but as new budget travel sites seem to pop up all the time, something else may work better for you. 2. Travel with a buddy! Seriously. This is not so much for safety (the Yucatan is a pretty safe place for visitors), but because it makes the logistics of travel significantly easier. Perhaps most importantly, you will need one person to navigate while the other drives. Even if you are using GPS apps, keep in mind that what they say is often less accurate than what they show and that these navigation lags are especially tricky in locations with lots of unnamed roads. You will need one person to keep eyes on the digital map and correct what the electronic voice tells you to do. 3. ALWAYS have plenty of bottled water. Dried fruit and fruit soda are good too. We each went through a medium bottle of water or more per site (about the equivalent of four small bottles per person, per day). Most hotels will provide a bottle, either free in your room or for purchase at the front desk, and the larger sites will have them for sale as well. Even so, it’s smart to hit a local convenience store and stock up whenever you can. I also found that being active in the heat meant that the only consumables I wanted before the sun went down were moisture and sugar. We packed one bag of dried fruit and ate it all on our first full day. Another packet of fruit and nuts lasted a little longer. I wish we had brought more, as dried fruit is not a popular snack in the Yucatan. If you decide to bring food with you, remember that it must be in a commercially sealed, prepackaged container when you arrive at customs. 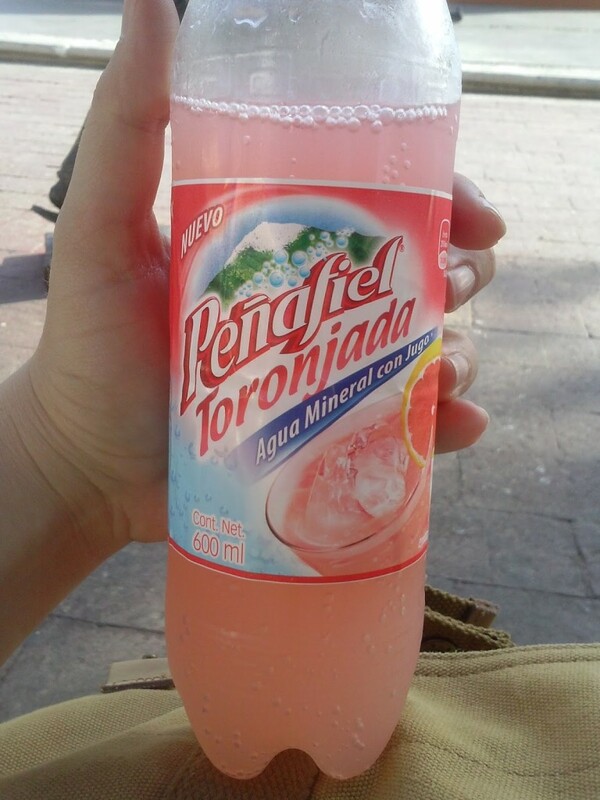 Once we ran out of dried fruit, cold fruit soda became my new favorite thing. 4. Use a GPS map (and have a back-up). If you are renting a car, it’s probably because you want to hit some of the less traveled destinations. And if you are driving to less traveled destinations, then FOR THE LOVE OF HUMANITY HAVE A GPS! And make sure it doesn’t require you to be on a network. Most rental car agencies have the option of getting a car with GPS, but this extra feature can be expensive. Instead, we used a combination of Google Maps and the “GPS Navigation and Maps Scout” app on our phones. Having a second device was helpful not only to compare accuracy, but as a back-up in case the primary phone died during the day. Keeping a spare battery charger on hand is also never a bad idea. 5. Learn some of the language. If you don’t already speak Spanish, you should make the effort to learn a little before you go. Most of the time you can survive without it, especially when in the larger cities or major sites, but it’s still useful for road signs, menus, and talking to cops at check-points (and yes, you will get pulled over at at least one checkpoint if you drive around the peninsula). Besides, it’s just polite to at least try to speak to people in their own language in their own country. Even if you’re bad at it (as I am), people usually appreciate the effort. 6. Get to sites when they open and don’t over-schedule yourself. Roads here are better than they used to be even a decade ago. Still, if you are used to driving on highways, most Yucatan streets will be a shock. On the other hand, if you have done a lot of driving in the rural midwest, you might feel right at home. Either way, keep in mind that going short distances can take a long time, especially when you are off the main thoroughfares. Additionally, the heat is no joke, even for locals. Try to get to places when they open to beat both the crowds and the afternoon sun. Stick to the shade as much as possible. Take a leisurely lunch. Don’t plan to do a lot of sightseeing after mid-day. 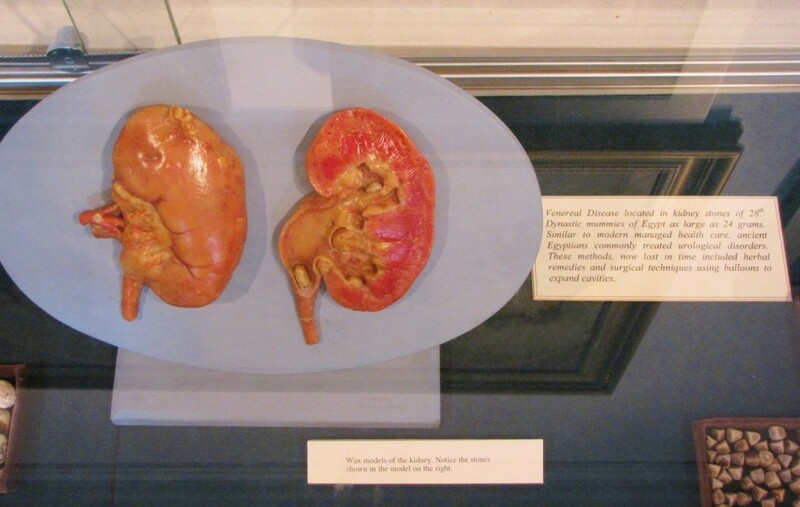 Taken shortly after opening. An hour later, this area was covered in fellow tourists. 7. Wear a lightweight, wide-brimmed hat; sunscreen; and bug repellant. 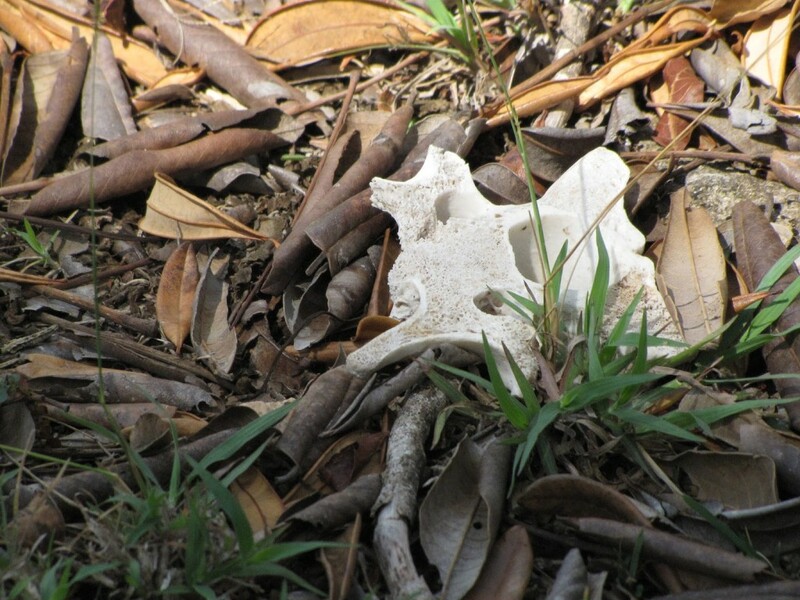 If you are going to Mérida, you will find many wide-brim options available. I brought a cheap hat with me, but eventually replaced it with a far superior, locally made jipihapa. I also recommend Avon’s Skin-So-Soft sunscreen/bug repellent combo. You will need both aspects of this product pretty much everyday, and it works well without making you smell like bug spray. Two adults using it conservatively everyday for two weeks requires a little more than one bottle. Bring two to be safe. View along the tollway connecting Cancún and Mérida. 8. Take the toll roads. They are much nicer and will save you a ton of time and aggravation. Make sure you have cash, especially small bills, when you leave Cancún. 9. Tip everyone who does something for you. Another reason to always have cash on-hand. Many jobs in Mexico are largely or entirely tip-based, including gas station attendants (who you must use), hotel staff, and tour guides. Often, if people don’t get tipped, they don’t get paid. Rules on the appropriate amounts vary, but if you can be generous, be generous. If you can only give half the change in your pocket, give that. One of the most challenging aspects of our trip was making sure we always had change or small bills on us, and we did not always succeed. 10. Do as the locals do (most of the time). •Shoulders on highways are meant to be used. Pay attention to the cars behind you; if they want to pass, move onto the shoulder so they can get by. •Obey the traffic signs. This is an area where your behavior should probably depart from most of the locals with whom you’ll share the road. •Reduce speed around towns and look out for road humps. Even if speed limit signs are not present, vehicular speeds are controlled by road humps of variable sizes. The higher the hump, the lower the required speed. If you aren’t paying attention or choose to ignore the signs alerting you to upcoming humps, you will damage your car. And possibly your head. •Top-up the car with fuel before leaving a city or large town. It may be a while before you come upon another gas station. •Don’t drive at night, especially in unfamiliar places. We broke this rule three times, and while I don’t regret any of those instances, I also still believe this is an important guideline for safe travel (to avoid collisions with cars parked in the road, stray dogs, significant potholes, etc.). 11. Be respectful. And relax. As is true almost everywhere, if you are respectful of the places you visit and kind to the people you meet, they will return the favor. And, again, the Yucatan is a fairly safe place for travelers. Be open, enjoy yourself. You’ll be fine. Our first night dinner companion. 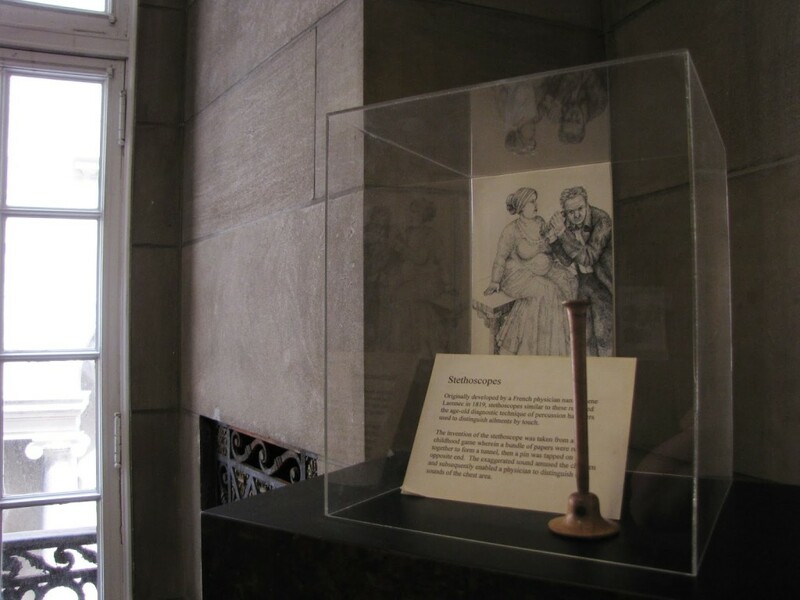 Discreetly located north of downtown in an elegant lakeside townhouse, the International Museum of Surgical Science is one of Chicago’s more hidden attractions. Although the Gold Coast mansion itself may be enough to draw the casual attention of commuters and tourists making their way along Lake Shore Drive, no large signs or neighborhood flags will alert passersby to the structure’s varied (and variably disturbing) contents. 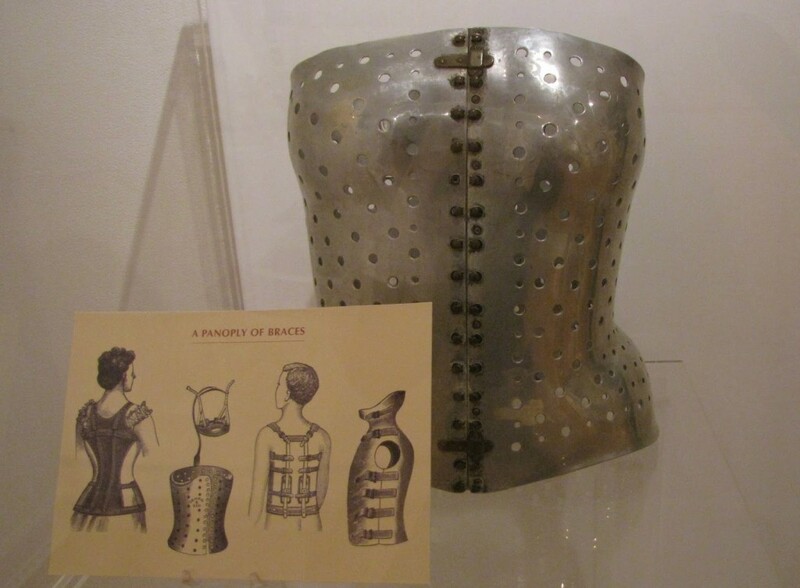 Yet, for those with an interest in medical history, Chicago architecture, museology, or the drily macabre, the museum is worth seeking out. 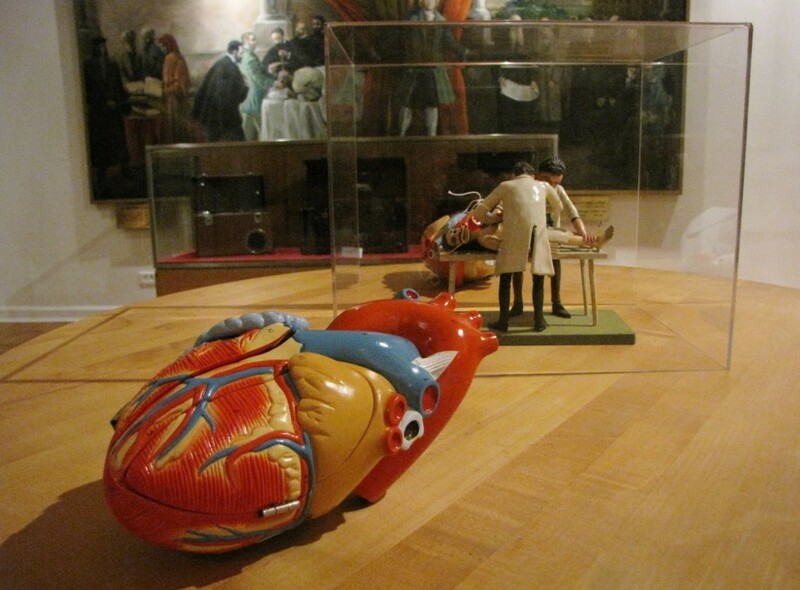 As befitting its subject matter, the exhibits tend to be object-based, low-tech, and straightforwardly displayed in ways that make clever use of the pre-existing historic space, often utilizing art for both illustrative and dramatic purposes. It’s a fun—or at least fun-ish—destination for a half-day visit, even if the entrance fee ($15 at the time of writing, no AAM membership accepted) felt a little steep. Current admissions information can be found here. All photos by Renée DeVoe Mertz, June 25, 2015.